To that end, we're selling, consuming, donating, or otherwise giving away a few things. You can probably guess by their approximate value which items go into which bucket. We're getting rid of a car (2005 Honda Element), car tent, bike rack, 2 bikes (more on this in a minute), a smaller duffel bag, a small dog carrier, dog kennels, camping gear including air mattress, blow up couch, blankets, clothes that just aren't right, our traveling kitchen and traveling booze cabinet. That's a lot of stuff for people who got rid of all their stuff! 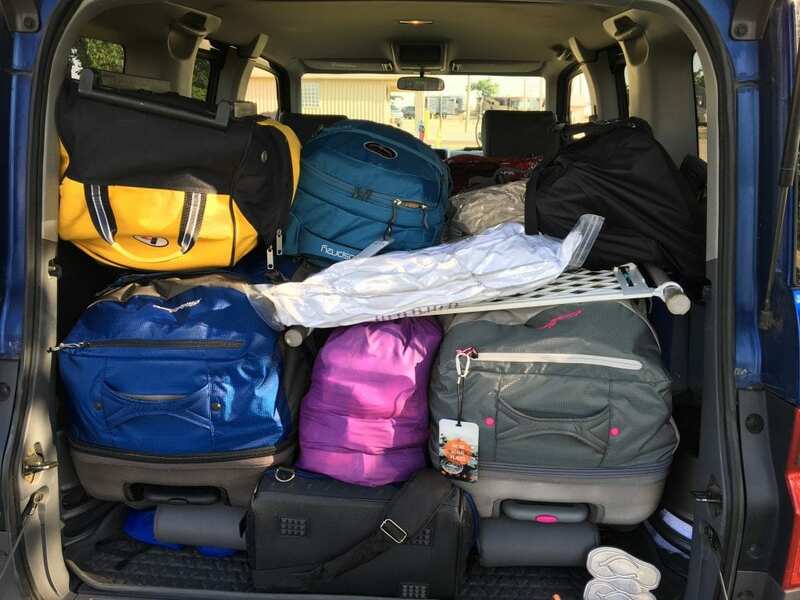 On the trip to FL for the summer, we packed our car pretty full and also used a car top carrier from our friends (thanks Mark & Maureen!). But on the way back, we'd already whittled it down to just filling the car (remember this was a big box Honda Element). So that was a small victory, and made me feel like there's a chance we can make it. 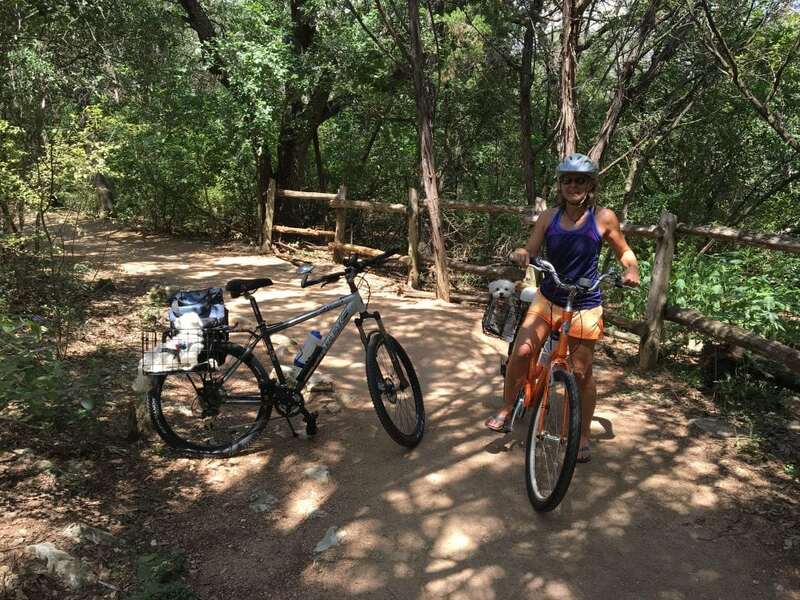 Regarding the bikes (a Trek mountain bike and a Electra beach cruiser), we wanted so much to ship them (especially Deb - she loves that bike! ), but the combination of the hassle and the cost made us rethink that decision. We know we have to be flexible to enjoy this journey, and this is a start. So we will either buy bikes there, or have them shipped in with Amazon Prime, if they will ship bikes to us. There is some doubt on that, we may have to ferry over to the big island, pick up the bikes, and ferry back. We were also told that some items just won't ship there, but pick a different brand, and they'll deliver. It's confusing - we'll just have to see. We also just recently rediscovered the US Postal system, and are thanking God for them (bet you never thought I'd say that, eh?)! Because PR is a U.S. territory, they ship there just like they would to Hawaii or Maine. And they have these flat rate boxes that you can fill as much as you want (think tools, batteries, kitchen pans, extra dog food) for less than 20 bucks each! They offer different sizes, but even the large flat rate boxes aren't really "big". They will hold a lot of heavy stuff though! I will not hesitate to send 5 or more of these to ourselves in Vieques. This became very serendipitous when we found out a new restriction on our baggage. Our flight from Denver to San Juan (thru Miami) was surprisingly inexpensive, so much so that I almost argued with the American Airlines rep on the phone, saying "$175 from DEN to SJU, that can't be right!" before quickly giving in. And we could load our big duffels up to 70 lbs each, yay! But then we found out the extra puddle jumper flight from San Juan to Vieques limits each bag to 50 lbs. So those USPS flat rate boxes - let's just say we're going to get our money's worth with them! Stuff, too much of it, aaaahhhgggg! 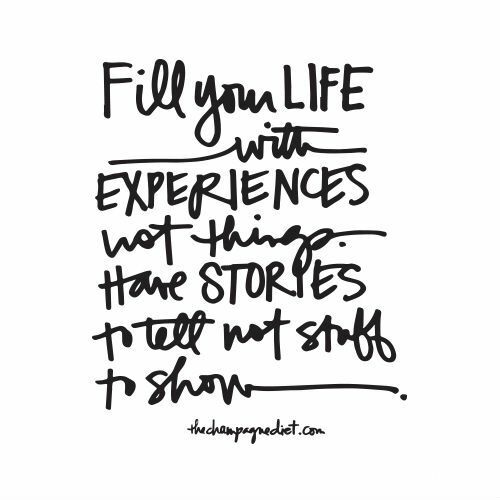 Experiences are better than things, that's what I think. If you ignore the heavy stuff we're sending by USPS for a minute, I guess the final word is that we're not getting down to 2 backpacks and 2 duffels, we're getting down to about 175 lbs of STUFF (yes, that includes the dogs)! Ni modo, así es la vida. Hoping that Vieques gets a pass from Maria, she needs to leave your little island alone! Also, once settled in, you should list the items your friends can load into those USPS boxes to send to you. Custom care packages of more dog food, batteries, juicy fruit beer etc! Looks like Puerto Rico may get a direct hit :-(. Sure hope not! Not to worry people! We are footloose and fancy free! There are many islands ? in the Caribbean calling our names. We will get to Vieques when it’s safe, until then….let’s just see what we can pull off! Wait a minute…." list the items your friends can load into those USPS boxes to SEND to you". I’d like to change that just a little. Please list the items your friends can BRING to you! I like this out-of-the-USPS-box thinking! Great to see you two before the next step in your substantial journey. Let us know when/where you get settled!